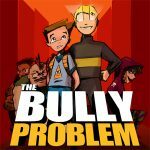 The Bully Problem is a family-friendly musical with a balance of comedy, character development, and just a smidge of science fiction. 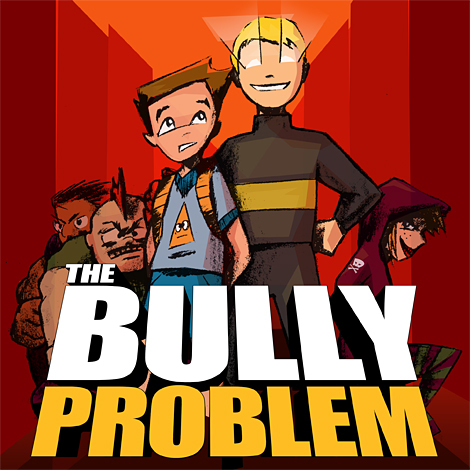 It focuses on the subjects of bullying, intellectual virtuosity, and the importance of human connections. Synopsis: Fourteen-year-old Kevin Dijkstra just wants to be left alone to build robots, but the bullies at Van Der Bort Junior High are making that tough. Things change when Kevin inherits an android that seems to needs his help as much as vice versa. Before long, Kevin is caught in the middle of a struggle between bullies and smart kids. The future of the school hangs in the balance! The score is mostly contemporary, with a emphasis on accessible melodic songs and vocal harmonies for ensemble numbers. There’s some influence of science fiction film music as well.